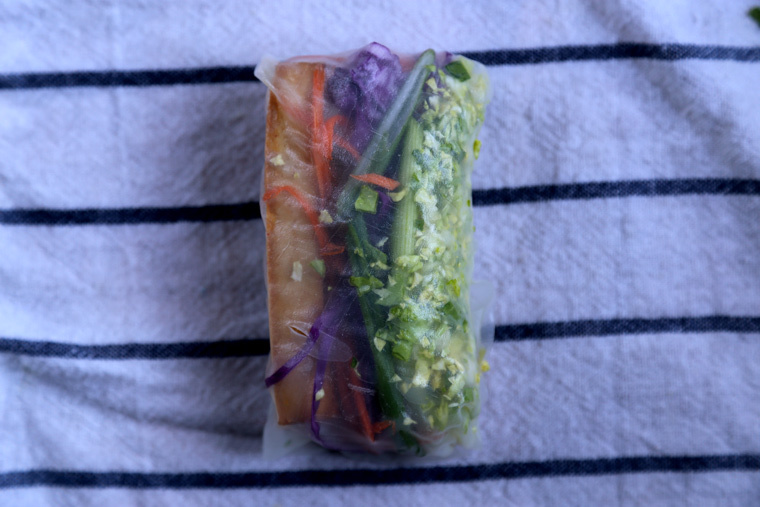 Why do raw vegetables taste so good when they’re rolled up all cute? Ok, that dip helps a little too. Who says we can’t keep it fresh in the middle of winter? Shredded, raw brussels sprouts are my leafy green of choice during the winter months – much less smelly than the cooked version. If you’re sitting on the brussels sprout fence – this dish is for you. You can finely shred these little guys with just a few pulses in the food processor. 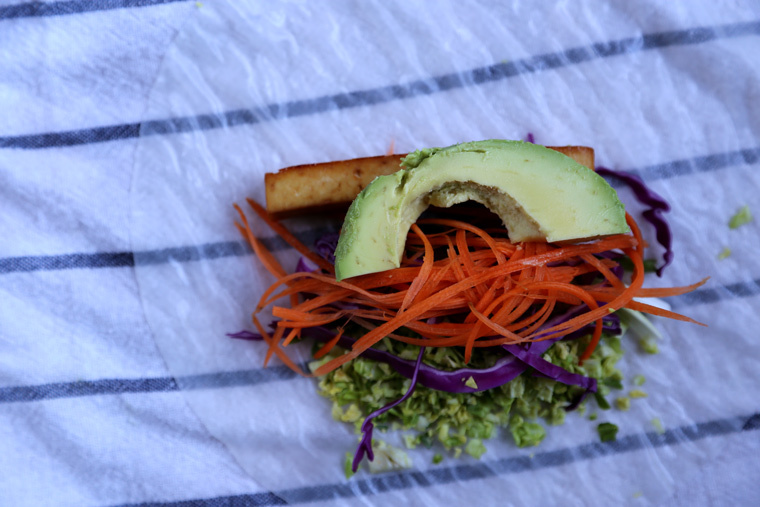 In addition to all these colorful fresh veggies, we have some delicious baked tofu wrapped up in here as well. 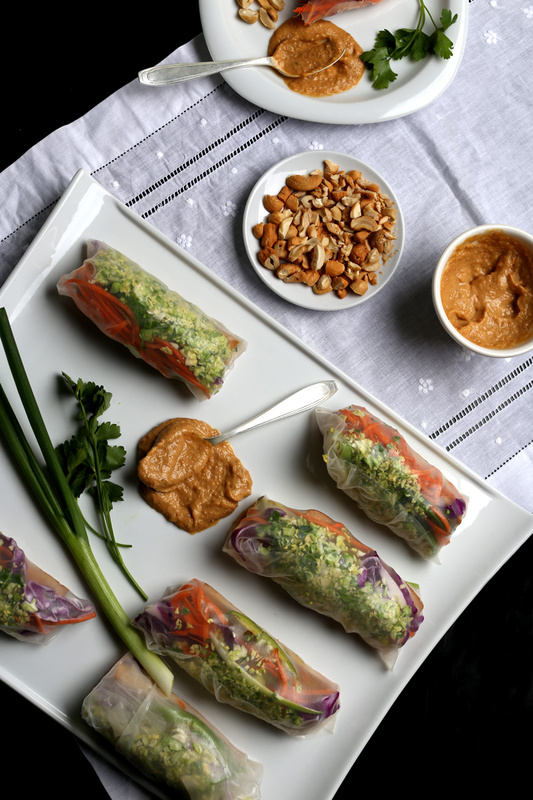 It’s marinated in my go-to sauce of orange juice, soy sauce, sriracha and garlic – you’re gonna want to make a double batch for sandwiches, salads and snaking. Oh and this dip – let’s not forget about that. It packs a ginger punch and it’s super creamy – just give me a spoon and I’ll go to town. 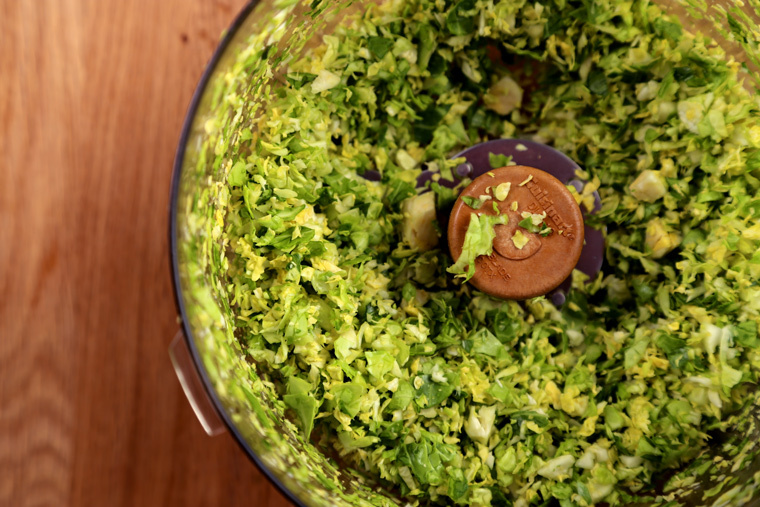 Shave the brussels sprouts by pulsing them in your food processor a few times. 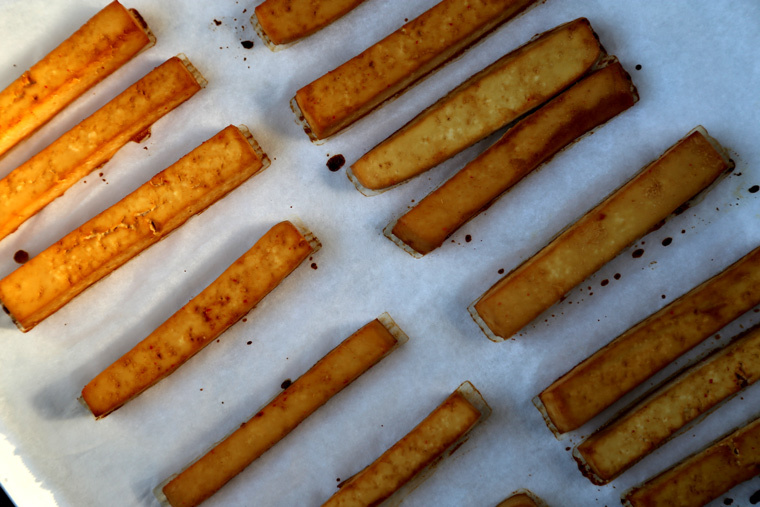 Let the tofu slices soak up the marinade for at least 10 minutes or overnight. Bake the marinated tofu for about 20 minutes on 350F until light brown. First dry the tofu well using a kitchen towel or paper towel. Next cut into thin, even pieces lengthwise. 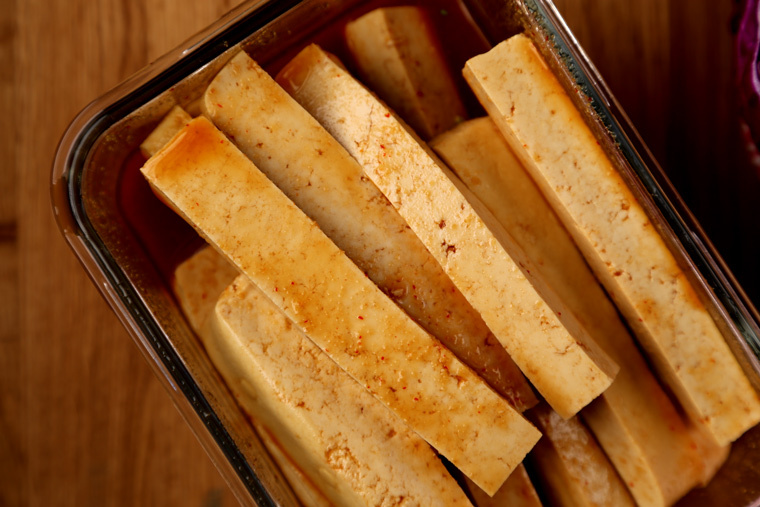 Mix together the ingredients for the the tofu marinade in a deep dish and submerge tofu pieces in the marinade. Let the tofu absorb the juices for at least 10 minutes or overnight. 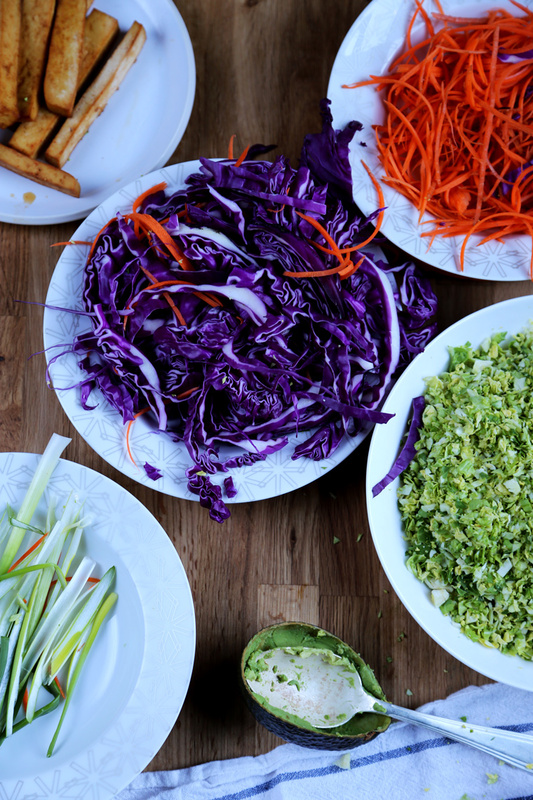 While the tofu is marinating, prepare your veggies. 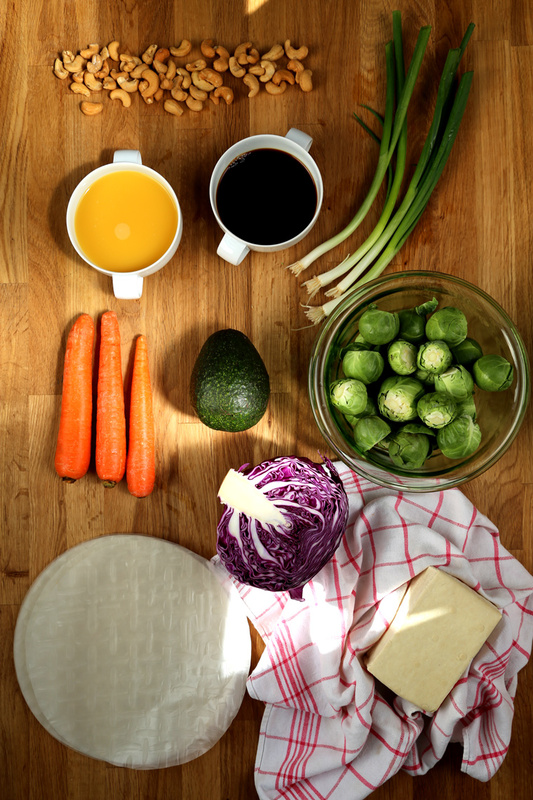 Thinly slice the cabbage, julienne the carrots (or thinly slice), thinly slice the green onion lengthwise. In your food processor, shred the brussels sprouts by pulsing them a few times until the leaves are finely cut. Slice the avocado lengthwise. Bake the tofu for 20 minutes at 350F until light brown. Let cool slightly. Submerge the rice paper in a large shallow dish of cold water for about half a minute until just softened. 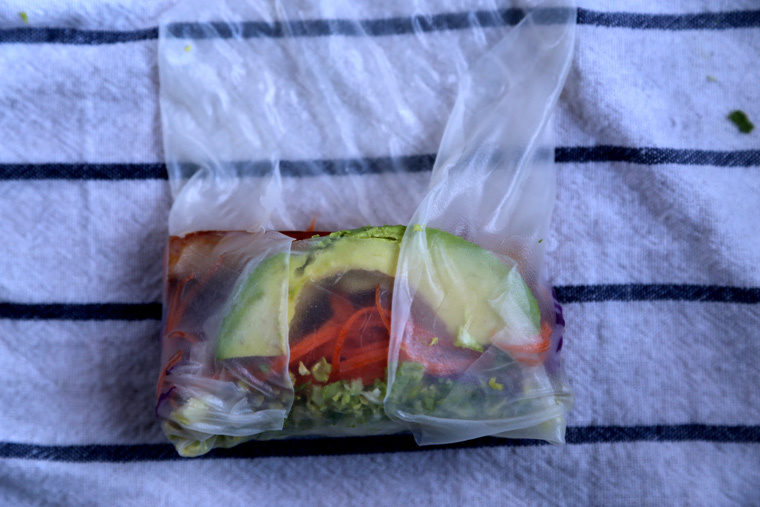 Place the wet rice paper on a kitchen towel to assemble. 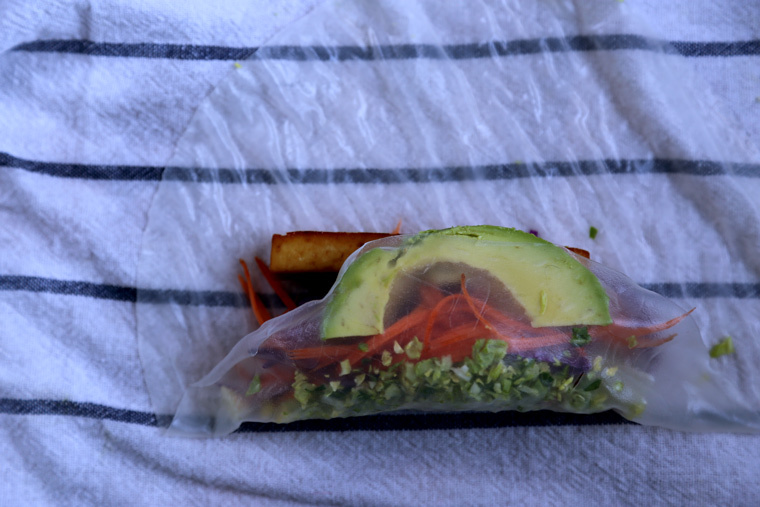 Add about 1 tablespoon of shredded brussels sprouts, some carrot and cabbage strips, one green onion piece, one slice of avocado and roll up the wrap as shown above. For the dip, simply combine all the ingredients in your food processor and blend. These look incredibly yummy, I am loving the photos! Yes! I saw you post this on instagram a few days back and had been waiting for the recipe! 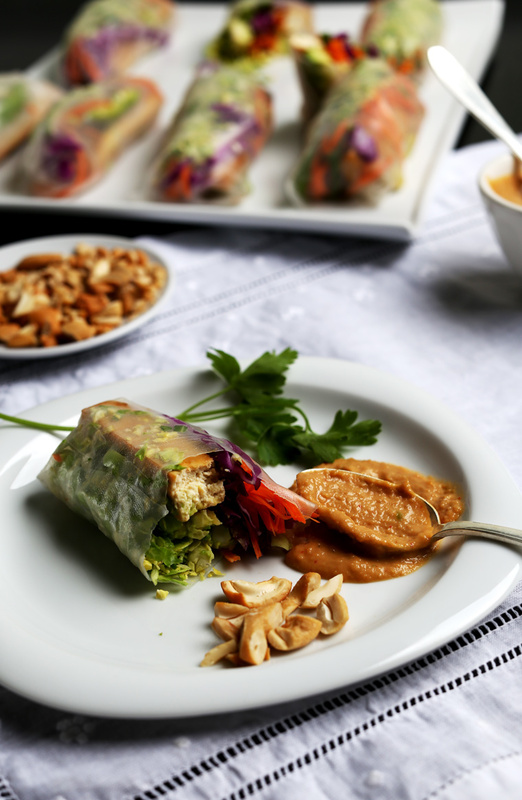 It’s so hard for me to get myself to eat raw vegetables in the dead of winter but this looks too delicious not to try! Thanks Shelly! 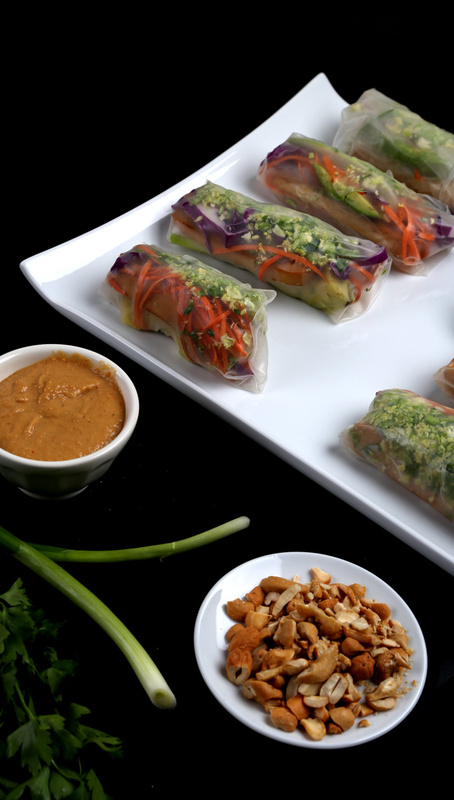 Eating a plate of raw veggies sounds so blah – but somehow these rolls are a whole different story. 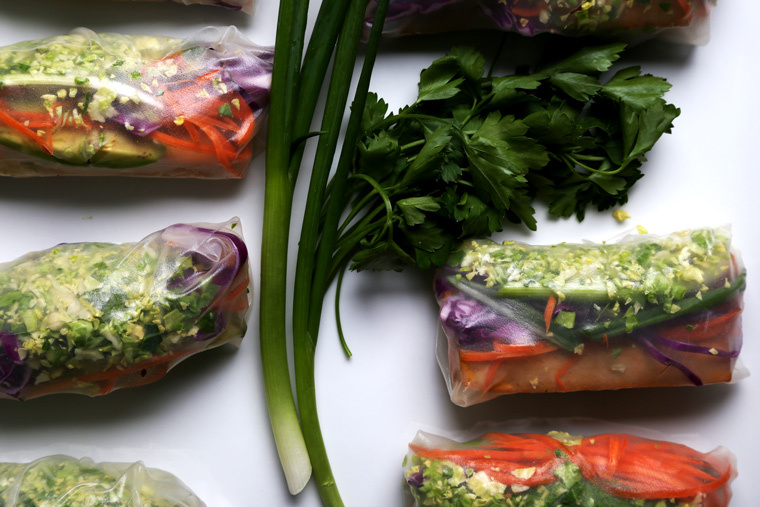 I have been dying to make “summer” rolls but felt like they weren’t wintery enough. I may be addings some beets to this tasty mix!